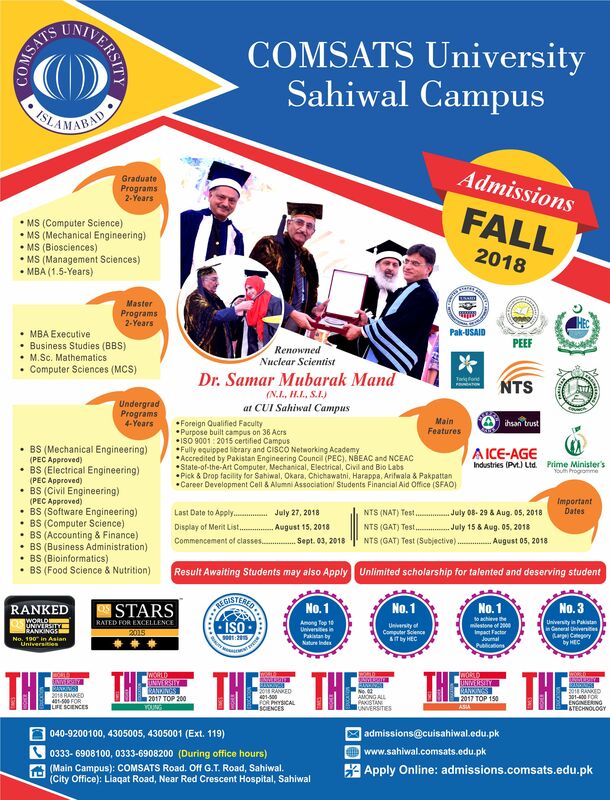 We are pleased to announce that New Admissions are open for Semester Fall 2018 at CUI Sahiwal campus. 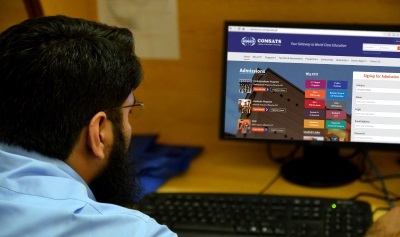 This time complete Admission form is online. No need for physical presence for submission of Admission form. 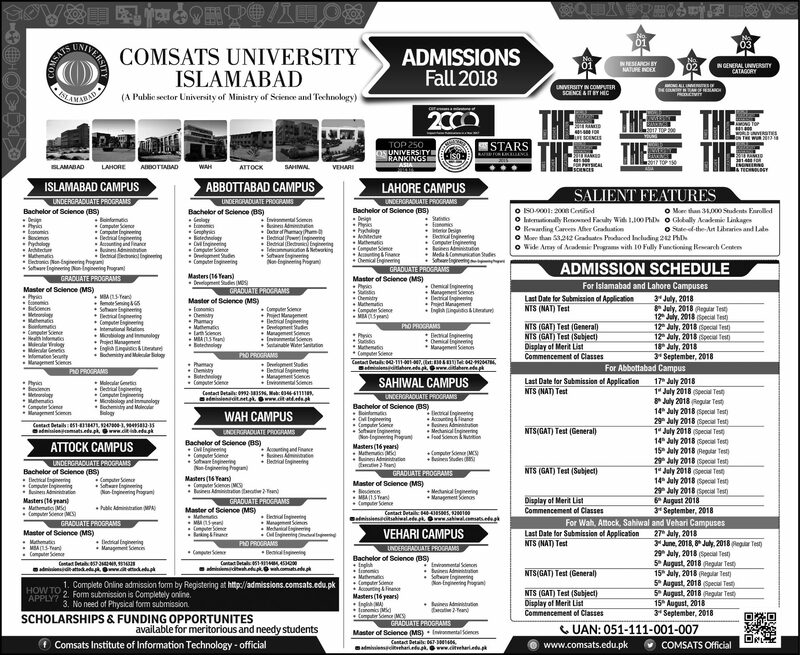 In case of any query/issue in online submission please contact admissions@ciitsahiwal.edu.pk. National ICT Scholarships for talented/ needy students. 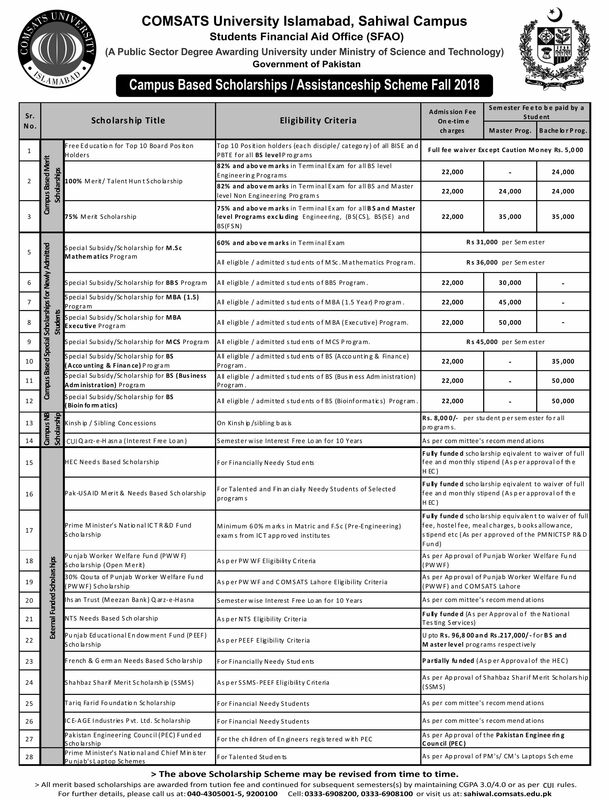 Punjab Education Endowment Fund Scholarships for talented students. Financial Assistance for needy students. Meezan Bank (Ihsan Trust) Qarz-e-Hasna (Interest free loan).